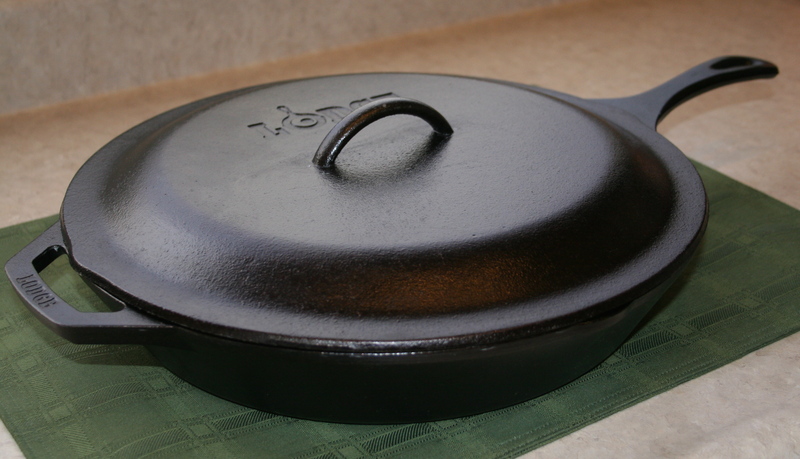 Since I started this blog a couple of weeks ago, I have been pondering – or should I say, obsessing – over various recipes in which I can showcase my cast iron addiction, I mean collection. 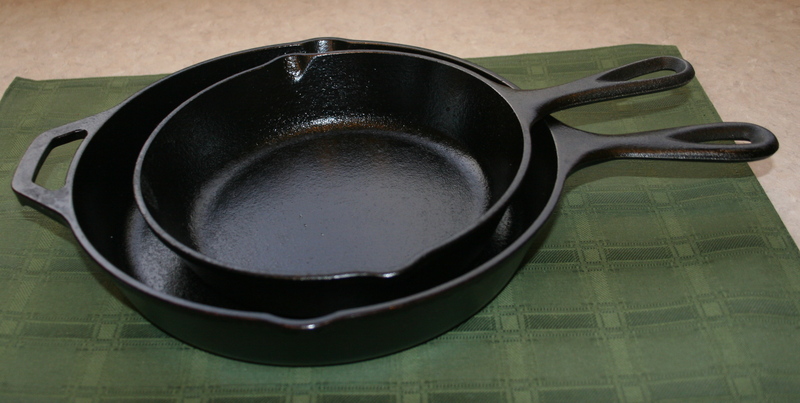 So today I pulled out every piece of cast iron that I own and thought it would be nice to show how diverse cast iron cookware is and how, once you get started collecting, it’s very difficult to quit. A few years ago, after watching a Dutch oven competition at a local festival, I told my husband that I thought it might be fun to give Dutch oven cooking a try. That Christmas, I received these two lovelies, plus some cookbooks. 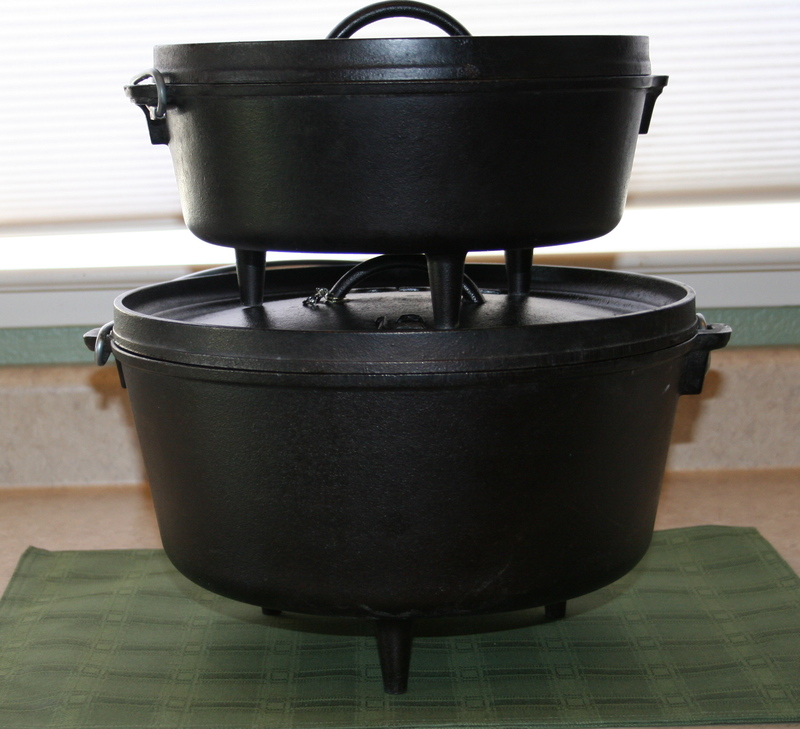 Now, this is what my Dutch oven collection has become. 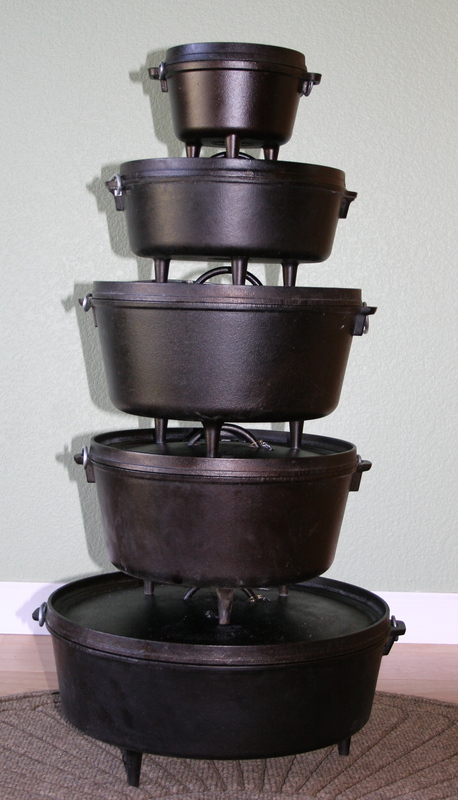 From top to bottom, one 6-inch, one 10-inch, two 12-inch, and one 16-inch. I don’t have a 14-inch yet. What’s wrong with me? 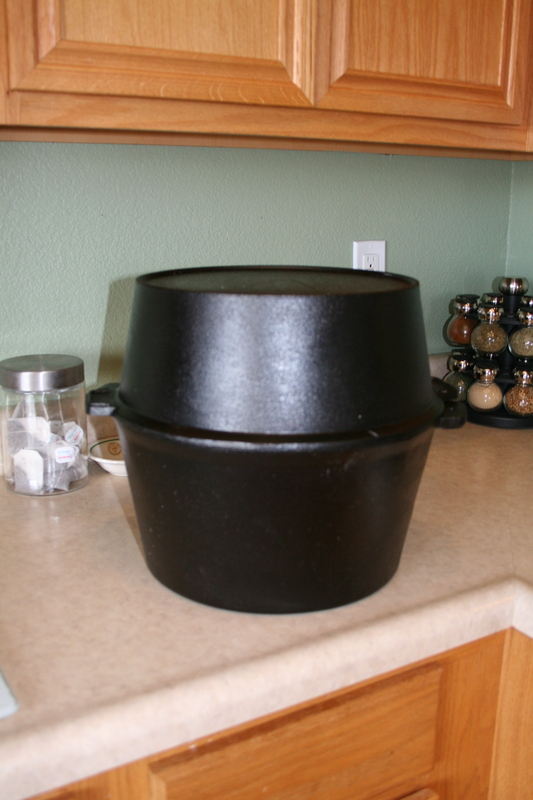 And don’t forget my latest acquisition…9.5 quart turkey roaster. And then there are all of my kitchen items. The Skookie (not to be confused with Snookie) is basically designed for a skillet cookie…get it, skookie. Good stuff can be made in this little devil. And it even comes with its own oven mitt. I have two of these. Only two. I have it all under control. I’ve already introduced you to my biscuit pan. (See Recipe for Cheesy Scallion Biscuits.) 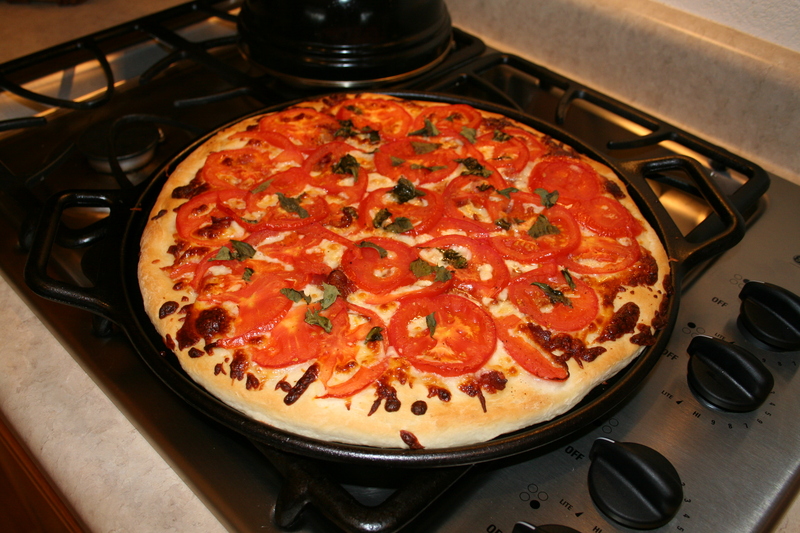 I’ve also used the pan to make mini pizzas on the grill…great for camping and kids love them. Plus, appetizers like mini spinach and bacon quiches. Oh, the cravings! 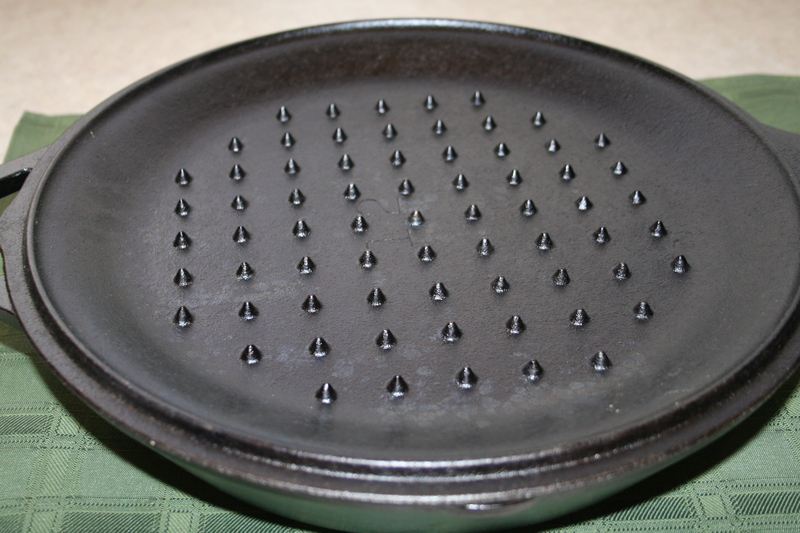 This is what you can do with this awesome pizza pan. This square griddle is perfect for paninis. Why do I suddenly have the munchies? 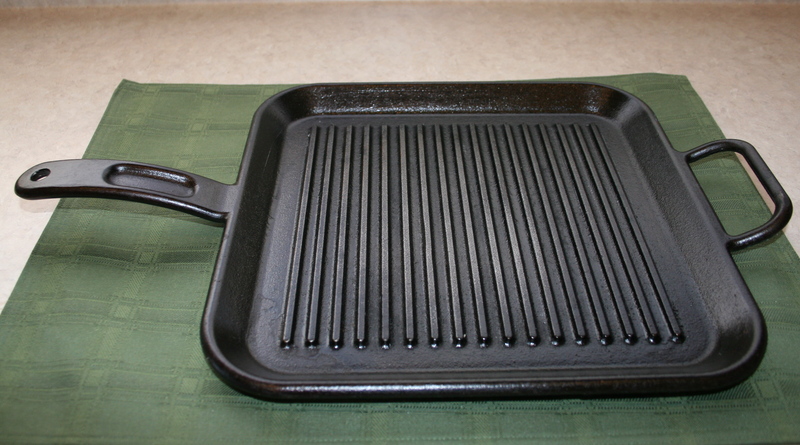 This rectangular griddle is double-sided – the smooth side is great for pancakes. 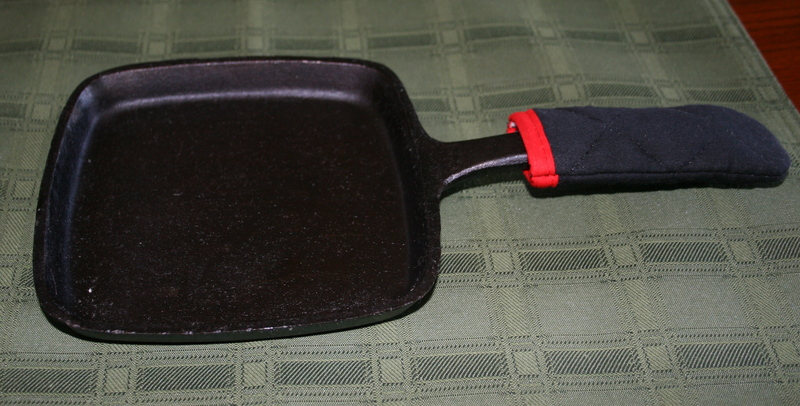 And the ribbed side is great for grilling burgers, shrimp, fish, etc. The griddle fits over two burners on the stove. 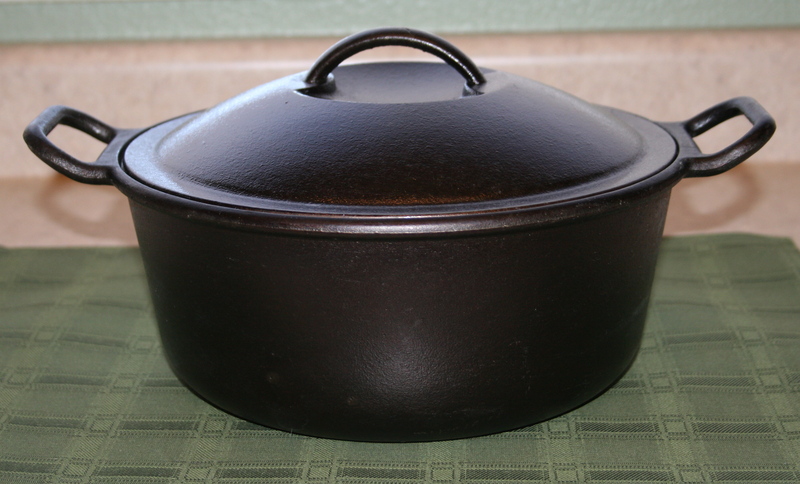 I love this Dutch oven, which is designed for the stove and oven. 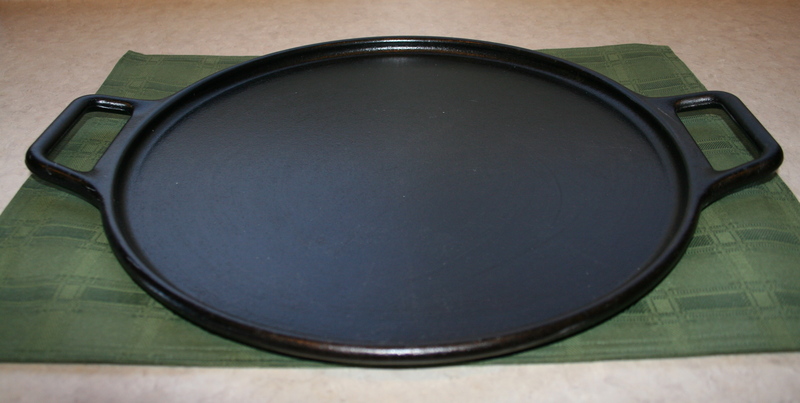 Great for soups, stews, and pasta dishes. And now the skillets. I call this one Monster. It’s huge – a 12-inch. Great for stir fry and jambalaya. Even its lid has teeth. I told you, it’s a monster. Am I hallucinating? I use these two skillets the most, for just about everything. The large is a 10-inch and the smaller is a 5-inch. I can’t live without them. 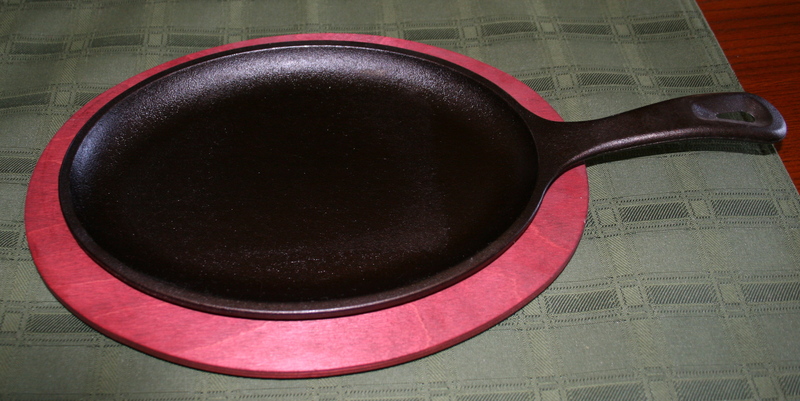 This deep 10-inch skillet is great for sauces and pasta dishes. 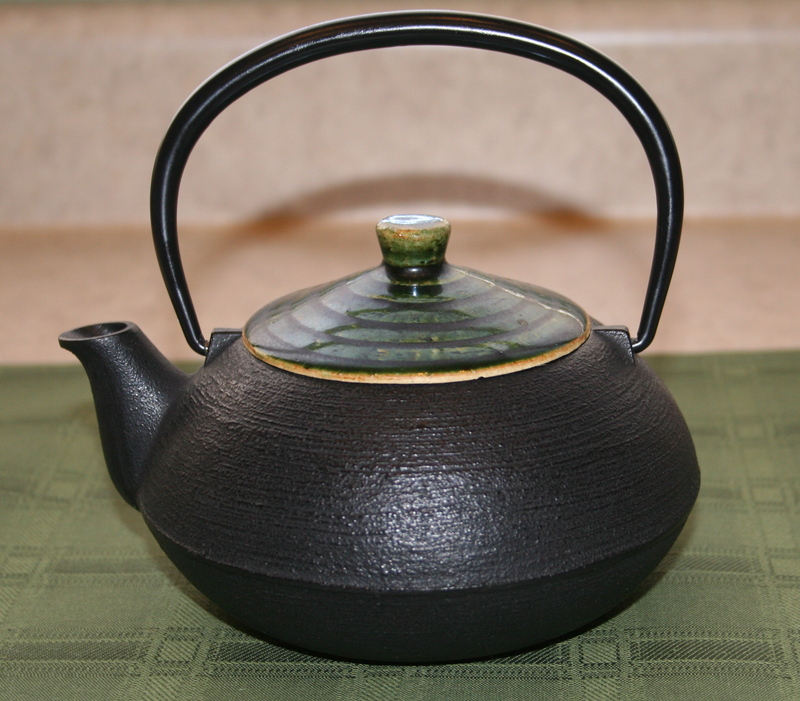 And finally, to cap off this addict’s showcase, I received this lovely cast iron Japanese tea kettle from my hubby this past Christmas. I’m addicted to tea also.